How Do I Treat Road Rash From a Motorcycle Accident? Knowing how to treat road rash after a motorcycle accident can save you from infection, scarring, and disability. The best way to treat road rash from a motorcycle accident is to get immediate medical attention. For a more in-depth discussion of how to treat the different types of road rash, read on. How do Doctors Classify Road Rash? Doctors categorize road rash as first-degree, second-degree and third-degree, similar to the way they group burns. In fact, some medical experts call road rash “friction burns.” Road rash can range from relatively minor scrapes to severe, life-threatening injuries. What Kind of Road Rash Can You Treat at Home? If you do not have other injuries, you can usually treat a first-degree road rash injury yourself at home. A first-degree road rash, also called a “raspberry,” is a minor abrasion of the outer layer of skin (i.e., epidermis) that does not go into the deeper tissue beneath the skin. Wash your hands well with plenty of soap and water. Bacteria on your hands can create an infection in your wound. Rinse the injury by holding it under lukewarm, clean running water for several minutes. Although it is fine to gently try to remove foreign bodies, like grit, from the wound, do not scrub the injury. If you cannot remove all the dirt, grime, and foreign bodies from the wound without scrubbing, seek medical attention. Cover the scrape with a thin layer of antibiotic salve or petroleum jelly and then apply a dressing. The coating will keep the wound hydrated and the dressing will provide a barrier against infection. Get prompt medical attention if you see any signs of infection or if the wound is not healing properly. Be sure to change your dressing at least once a day. If the dressing gets wet or dirty, replace it at once. You should contact your doctor to get a tetanus shot if you have not had one in the last ten years. If you have any doubt about whether you can properly treat your road rash yourself, go to your doctor or to an urgent care center for treatment. What Treatment Do I Need for Second-Degree Road Rash? Second-degree road rash goes through both the outer layers and deeper layers of the skin (epidermis and dermis) but not through muscles and other tissue beneath the skin. This is not an injury you should treat at home. Seek treatment at an urgent care center or emergency room. At the urgent care center or emergency room, doctors will clean the wound and remove any debris or foreign objects. Depending on the severity of your injury, they may give you pain medication before they clean the wound. After doctors clean the road rash, they will likely apply an antibiotic ointment and a sterile dressing. They will give you written instructions on how to care for your wound at home. They may recommend that you take either an over-the-counter or prescription pain medication before you change the dressings at home. What Does Third-Degree Road Rash Treatment Entail? Third-degree road rashes are severe injuries that can be fatal without immediate medical care. Go to the emergency room at once for a third-degree road rash. These injuries go through the epidermis and dermis, and damage tissue below the skin, which can include muscles, tendons, ligaments, nerves, veins, arteries, bones, and internal organs. Note: Do not assume your injury is not severe if you feel no pain. Third-degree road rash can damage nerve endings, causing a loss of sensation. If your wound is painless, go to the hospital immediately. The hospital personnel will clean the wound and repair the damage to the tissue beneath the skin. You may need to go to the hospital for surgical treatment, which can involve skin grafts. Follow the discharge instructions carefully to maximize your healing process. Road rash treatment can be expensive. 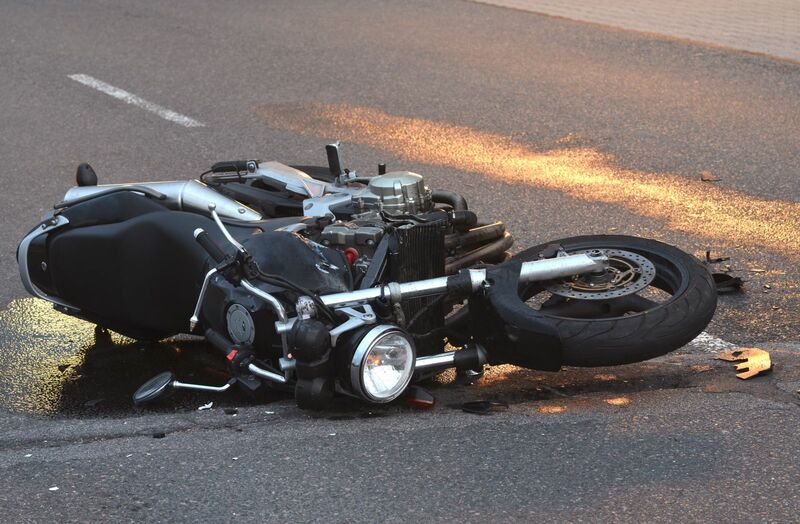 If you sustained road rash injuries in a motorcycle accident that was not your fault, contact the personal injury team at Max Meyers Law for help with your injury compensation claim. Call us today at 425-399-7000 to set up your free consultation.